Luciano is a striking contrast of textures and shapes. 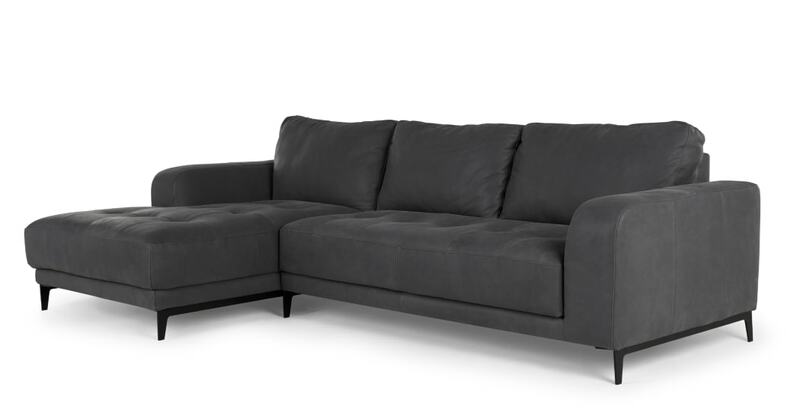 It has chunky arms, deep, dimpled seat cushions and contemporary metal legs. Screening the final episode of your favourite TV series? This corner sofa is made for social seating, so make an event of it. Pass the popcorn, please. It’s designed by our in-house dream team, MADE Studio. Nobody understands our customers’ needs and lifestyle like they do - that’s why their designs are so popular.